The latest from yesterday’s news Google’s head of search spam Matt Cutts put out a new webmaster help video comes from eliasseo, New York on Jan 27, 2014. And the Question Is mentioned below..
Matt Cutts explains that if a site does not update its template (you do not give a refresher), does not improve anything in the course of time, it adds features for its users and does not update its platform, then it could be surpassed by younger sites . 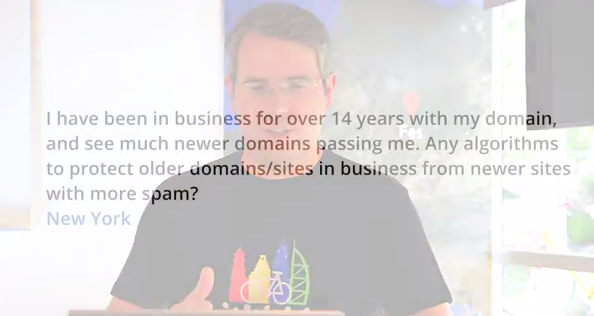 In a new webmaster help video, Google’s head of search spam, Matt Cuts treated this time a question with a surprising answer. 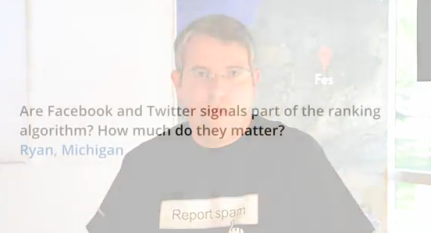 Have Facebook likes and Twitter messages affect the Google ranking of your website …? Chief engineer of the Spam department at Google’s Matt Cutts has officially confirmed that Facebook and Twitter do not affect your ranking in Google. All the more reason, therefore, to be active in Google+ since it is important for your ranking in Google. 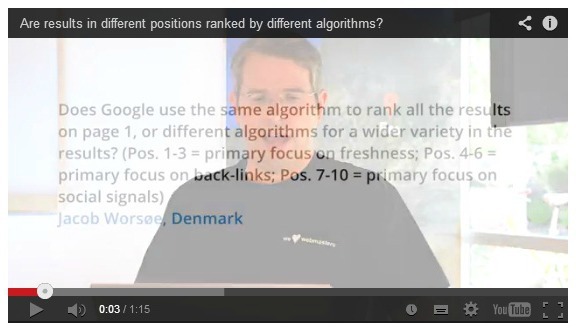 Google’s Matt Cutts head of search spam has put out a new webmaster help video comes from Jacob Worsøe, Denmark on January 15, 2014 . Cutts discusses whether results in different positions are ranked by different Google algorithms. I’m only going to concentrate on the web ranking because that’s what I know about, and in general, the rankings are not different for, you know, positions 1-3 and 4-6 and 7-10,” Mattt says. “It’s the same algorithm that returns lots of different web results – you know, 100 or even 1,000, and then with those, we just sort them in order of what we think the trade-off of relevancy vs. reputation. So we want something that’s very relevant, but also as reputable as we can find. So it’s the same algorithm that generates all of those sorted lists of results, and then that shows up on the first page,” he adds. “So for the most part, for web ranking, it’s not the case that position number 9 is saved for, you know, things based on backlinks or anything like that. It’s the same algorithm that’s generating that list of search results. Matt’s answer is that it’s the same algorithm that returns all results in spite of the position. For web positions, the algorithm does its best to sort as well as order results based upon relevance and reputation.